Connect the Dots Ginger | Becky Allen: Life of a Busy Mommy! This past week was CRAZY in the Allen household! It was my first full week back at teaching, last week it was only a partial teaching week. And to top it off Matt was gone for 4 DAYS! I was by myself with the 2 boys for 4 DAYS! Needless to say it got a little stressful and crazy! Both boys were missing Daddy like crazy and Mace was tired of dealing with just me. I didn't pull any hair out, the house survived and we are all in one piece but man I am so thankful that I have my hubs here to help me with the boys regularly because I need that break in the afternoon to just decompress! It was so cute when Matt got home. Mason just wanted to hold him and hug him and didn't want to go to bed but we promised lots of playing the next day (which he did) just with daddy! Collin was cooing up a storm just to Matt when he saw him. (Matt got home around 9 pm by the way!) Collin was talking to Matt, like trying to have a conversation with him, telling him everything that he missed while he was gone, and it was so cute! So back to normal life now, yay! Coming up this week we have my weekly PiYo recap, Collin 3 month post (I know, already), and Running Tips and Tricks! See ya tomorrow! 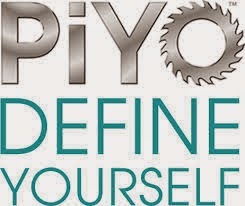 Also there is still some room left in the PiYo test group! If you are interested let me know!!! Make sure you JOIN my team here!